Believing he could outperform the others, Mike founded Pie Funds in 2007 – a startup with just a handful of clients. A decade on, his trusted company manages over $1 billion for thousands of Kiwis. A registered teacher, education is her jam. When she started JUNO magazine in 2014, Jacqueline wanted to break down the stereotypes surrounding the investment industry and make it more exciting and accessible to all. 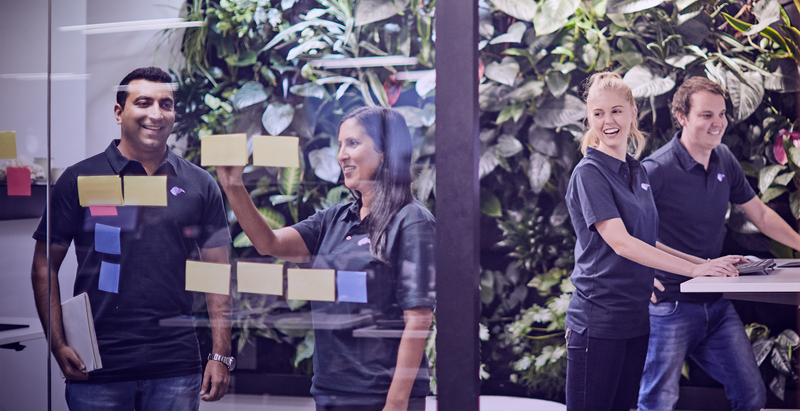 Jacqueline and Mike combined the talents of their teams and launched a KiwiSaver scheme like no other. Our vision is a product helping to put more money in your pocket and helping you understand your investment. The team is dynamic and work hard to bring you the best KiwiSaver scheme in New Zealand. Paul was a member of the executive team at the Financial Markets Authority (FMA) and, before that, worked in the investments team at the New Zealand Superannuation Fund. At JUNO he leads the investment team, and takes responsibility for considering environmental, social and governance impacts when choosing investments. He also works on investor education and communication. Bianca joined Pie Funds in 2016 after emigrating from the Netherlands. An adopted Kiwi now, she says, “I do miss my Old Amsterdam Cheese … and my bicycle (without a hill around every corner)”. Her focus is on the Conservative fund and making your cash sweat for returns. Mark is a CFA charter holder and has been managing investment opportunities for nearly a decade. He's so passionate about investment that he started his career at Pie Funds by offering to work for free! He aims to leave no stone unturned when he's doing investment research. Vic is a rising star in the investment community, with eight years’ experience, and is an advocate for women in financial services. She focuses on growth and tech companies and is committed to integrating environmental, social and governance matters in her investment decisions. We’re not disrupting the market, we’re creating a new one. We’ve seen how the others do it and we’re proud to offer something more, something amazing. Because JUNO KiwiSaver isn’t just about profits – it’s also about empowering our communities, and improving financial literacy. We also consider environmental, social and governance (ESG) matters when we invest. We named JUNO for the ancient ‘protectress of funds’ – Juno Moneta. It was in her temple that Roman coins were minted, and it’s from her surname that we now have words like ‘money’ and ‘monetary’ in the English language. The JUNO KiwiSaver Scheme aims to protect your funds – just as Juno herself once did.